Grab a friend or a tripod. Pick a location inside with good lighting and a simple backdrop. Invest in additional lighting (if you're indoors). Equip your phone with the right camera apps. Clear up space on your phone. Block-off at least two hours for the shoot itself. Grab a friend or a tripod. 2. Pick a location inside with good lighting and a simple backdrop. 3. Invest in additional lighting (if you're indoors). 4. Equip your phone with the right camera apps. 5. Clear up space on your phone. 6. Block-off at least two hours for the shoot itself. 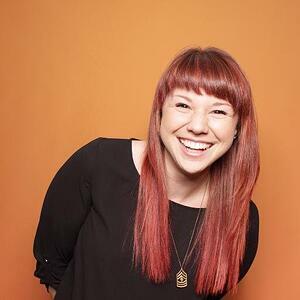 Your headshot is kind of like the logo for your personal brand. 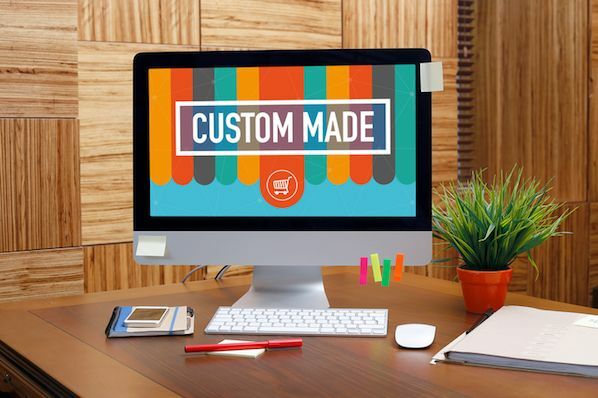 Like a business logo, it'll show up everywhere you showcase your personal brand online: your Twitter profile, your LikedIn profile, your blog, your email signatures, and so on. And, also like a business logo, it's a great opportunity for you to use imagery to make a lasting, positive impression on your audience. Trouble is, professional headshots can cost a pretty penny, which is why a lot of people wind up taking matters into their own hands. But before you reach for your selfie stick, you should know that not all DIY headshots are created equal. In order to take a great one, you need to know a thing or two how to set up a shot, what to wear, and how to edit a photo. To help you out with that, we put together a step-by-step guide that'll walk your through the process. Check it out below. There is a reason photographers can charge so much for headshots: There's an art to taking good ones. So before I get into the step-by-step, let's quickly go through the elements of a good headshot. These'll help put some of the steps in better context. Is framed from the chest up. Captures you looking directly at the camera. Eye contact is one of the most important elements of a great headshot. Has good lighting on your face. Beware of weird shadowing. Showcases the personality and aura you want to give off. This is what makes it memorable. Is easy to see and notice even when it's small. Their headshots are framed correctly, well lit, give off personality, are visible and noticeable even in something like a Twitter feed (see below), and stand out from the crowd -- especially thanks to that orange background. What are some cool marketing campaigns you've seen recently? Need some #MarketingInspiration. 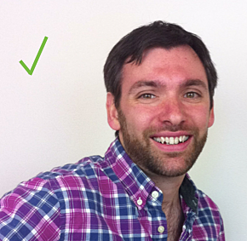 Now that we've covered what makes a headshot good, let's dive in to how to actually take one. Before we begin, keep in mind I am not a professional photographer. These tips are based on research and interviews from folks who know a lot more about photography and headshots than I do -- I've just organized the tips in one place for your reading pleasure. 1) Grab a friend or a tripod. Contrary to popular belief, selfies typically don't make for good headshots. The best way to ensure your photos are level and well aligned is to enlist a friend to help you, Professional Photographer Zac Wolf told me. "I think people are better off asking a friend to shoot it for them rather than buying a tripod," he said. "The friend can help them get better angles and provide criticism that a tripod cannot." Enlisting a friend will be a major time-saver when it comes to actually taking the photos, too. If you have to be on your own, then you will want to buy or borrow a tripod and holder for your phone so your camera can sit at chest height. From there, you'll end up setting a timer and posing for the picture. 2) Pick a location inside with good lighting and a simple backdrop. The best headshot location is typically indoors, away from direct sunlight, and in front of a solid color backdrop like a wall or a sheet. Getting the lighting right is the hardest part, so take some extra time finding a good spot that doesn't have sunlight coming in through a window right onto you. Direct sunlight is harsh and can be totally unforgiving. Not to mention, it'll make you squint. If you do want to shoot outside, then there are ways to make it work. Wolf actually prefers taking portraits outdoors over indoors. "Outdoors, you'll find better and more flattering lighting than indoors, even with artificial lighting," he said. His trick? Finding "open shade" -- a sweet spot between sun and shade, where you're just inside the shade but facing the light -- and a nice, clean wall to shoot against. Whether you take your headshot indoors or outdoors, you'll want a backdrop that makes it look like you're in a professional photographer's studio. That means sitting or standing in front of a solid-colored wall that'll make your face stand out. If you can't find a solid colored wall, you could purchase a backdrop online for relatively cheap, like one of these on Google Shopping. 3) Invest in additional lighting (if you're indoors). Remember: Good lighting is the hardest thing to get right in a photograph -- but bad lighting is a telltale sign of poor photography. If you're taking your headshot indoors, the answer to your prayers will be adding additional, artificial lighting of your own. "If you're going to use artificial lighting, make sure there's no sunlight coming into the room, too -- especially on your face," says Michael Kolowich, founding producer of DigiNovations, a Boston-based media production company. "Sunlight is bluer than most artificial light, and you won't like the mix of colors." What should you buy? On his blog, Dan Shure suggests buying studio lights online in places like Amazon. "Trust me, they have come in handy for many other applications, such as shooting my own videos," he says. "You may just want to make the investment. If not, you can go a long way with some lights like this from Ikea. Get one or two of those, and don’t position them to close to you [to] avoid weird shadows." 4) Equip your phone with the right camera apps. You can skip this step if you're using a regular camera. But camera phones are actually pretty great nowadays, and can serve you quite well for the purposes of a headshot. If a friend is helping you out, then you can use the camera app that's built right into your phone -- although I'd recommend using an app like GorillaCam (free / iOS only) or Open Camera (free / Android only) for additional features like a bubble level tool for correctly aligning your pictures. If you're on your own, you'll definitely want to download one of those camera apps -- especially for the timer feature. 5) Clear up space on your phone. Before you start your photoshoot, you're going to want to make sure you have room for all the photos you're going to take. Believe me, you're going to take a lot of headshots. Like, possibly several hundred. The last thing you're going to want to do is pause your photoshoot to clear space on your phone. On iOS: Open the "Settings" app and tap "Storage & iCloud Usage." Under "Storage," click "Manage Storage." Click here for tips on clearing up space on your iOS device. On Android: Open the "Settings" app and tap "Storage." Click here for tips on clearing up space on your Android device. 6) Block off at least two hours for the shoot itself. Remember: You're going to end up taking a ton of photos to narrow down that one headshot. You won't want to be in a rush. So don't make this a half-hour break from your work: Give yourself plenty of time for setup, taking the photos, and going through them -- I'd suggest two or three hours, minimum. 7) Practice in the mirror. Seriously. Practicing your pose may feel a little uncomfortable, but it can really help you during your headshot session. Practice different ways to "let your personality shine" so you have some looks to work with when you finally start your shoot. You don't need to spend a lot of money on makeup and hair. You'll probably end up looking like a totally different person if you do -- and that's not the point. The point is to look like yourself on a really good day. That means spending time making your hair look good, shaving, putting on neutral makeup that conceals under-eye shadows and redness. If you're not savvy on this stuff, have a friend help you out. 9) Pick a few nice shirts to wear. For example, let's say you have some cool tattoos on your arms. You'll want to think about whether you'd like to showcase them as part of your unique personality, or cover them up if you want to be more formal. Avoid overly bright colors, but don't wear all black or all white either. Avoid distracting, "busy" textures on your top, and anything that might take away from your eyes. Don't wear anything with a logo on it to stay neutral. Don't wear any accessories that you don't wear daily. Remember to pick out several options, as you can never quite tell how a shirt will look on camera until you try it! 10) Set up your lighting. Once you arrive at your location, it's time for the hard part: setting up your lighting. There are a lot of different ways to go about this, and you'll have to do some initial trial-and-error work to get it just right. If you're outside: It's time to find that "open shade." Once you find that spot where you're illuminated by light but not actually in the light, make sure you're also facing the light. "There are three key factors for flattering portrait light: Open shadows, beautiful catch-lights and brightly lit faces," says the article from Photographers' Connection. "That’s why simply being in open shade isn’t good enough. If you aren’t facing the right direction, open shade is actually ugly." If you're inside: It's time to set up your artificial lights. Set them up so they don't shine directly on your face, Kolowich told me. "That will produce shadows that are far too harsh. The key to a good portrait is the subtle use of shadow," he says. To avoid those weird shadows, you'll want to set up your lights about two feet away from where you'll be sitting or standing if they're larger studio lights, or a little further away if they're smaller, desk lamp-sized lights, writes Shure. The best lighting will come from slightly above your head. "Two lights, one on each side should give you a nice natural look," Shure continues. "If you only have one light, try getting it in the center and backing it up a little so you don’t look too dramatic (unless that’s what you’re going for!)." If you're a more visual learner, you can watch the video below for the five basic lighting positions from Digital Photography School. This video features professional lighting fixtures and setup, but you'll find you can adapt his helpful tips for the fixtures you have. You'll want it to be about two or three feet away from where you'll be standing or sitting. Whether you're standing or sitting, you'll want the height of the camera lens to be about at your chin, although you can experiment with a slight upward tilt once you get going. You'll also want the camera to be facing you dead-on (i.e., with no horizontal angle). 12) Set up your camera app. Once you're camera's positioned correctly, it's time to set up your camera app of choice if you're using a camera phone. If you have a friend with you, she can use your phone's native camera, although I'd still recommend using an app for its handy additional features. First of all, make sure your camera flash is off. 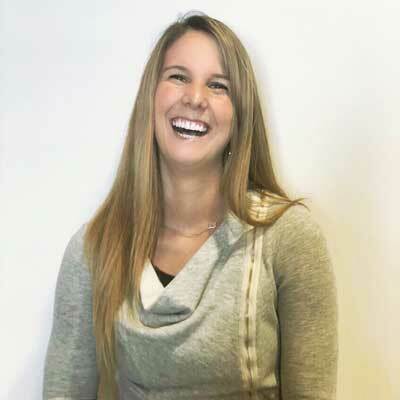 "Under no circumstances should you ever use your on-phone flash for a headshot," says Kolowich. Bubble Level: Toggle this on to double-check your camera is level. Grid: You can keep this off. 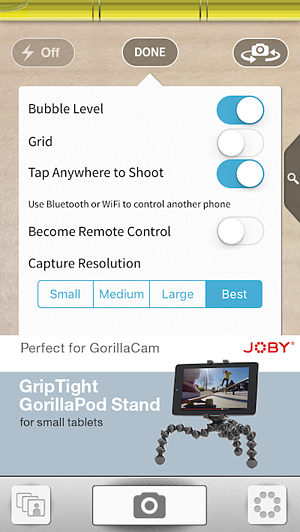 Tap Anywhere to Shoot: Toggle this on to make your life easier when you finally get to shooting. Become Remote Control: You can keep this off. Self Timer: Toggle this on, and use the slider to choose how long it should wait before taking a photo. I recommend a minimum of 10 seconds. 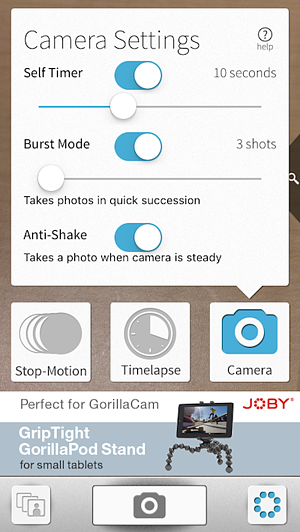 Burst Mode: Toggle on, and use the slider to choose how many photos it takes in quick succession. I recommend 5 photos, in case you blink. Anti-Shake: Toggle on so the camera only takes a photo when the camera is steady -- although since you're using a tripod, this shouldn't be a problem. 13) Position yourself at an angle, and look directly at the lens. Now that your equipment's set up, let's focus on you. "Don't face your body squarely into the camera," says Kolowich. "Sit so your body is pointing 30 degrees to the left or right of the camera, and then turn your head to face the camera. Try both ways, and see which you like better." Make sure you're looking right at the lens. "Eye content is perhaps one of the most important parts of a headshot," writes Shure. "It’s what’s going to grab someone’s attention, so look into that camera!" 14) Make yourself laugh, talk to yourself, and turn on some lively music. When you first start taking the photos, you may find yourself looking and feeling kind of stiff. That's perfectly natural -- but it won't help to just stand there and force a smile. Help yourself out by doing things that'll loosen you up a little bit. "People should try to look friendly, happy and approachable in their headshot," says Wolf. "My favorite trick is to make yourself laugh." Shure suggests leading into a smile by talking to yourself to get a more natural expression. He likes to say things out loud, like "oh wow!" or "that’s so awesome, I’m so happy for you! ", and then finishing with a smile by the time the camera clicks. Another trick? Turning on lively, energetic music to get your mood up. 15) Take a ton of photos, and scrutinize as you go. As you start taking photos, review them, scrutinize them, and make adjustments as necessary. Make sure your hair is behaving and that you've framed your face well. Play with the lighting, the shadows, and the angle of your face until you find the most flattering pose. And take a ton of pictures. As long as you've freed up space on your phone, you might as well take a few hundred -- you can always delete them later. 17) Choose your favorite 20 photos, then review them with a friend. Once you're done with the shoot, sit down and review every single one, deleting the obvious bad ones and picking out your favorites as you go. 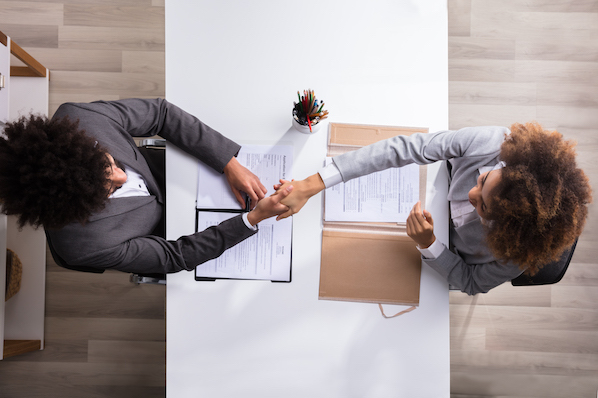 Once you've narrowed it down somewhat, send what you have to an honest friend, like your spouse or your sibling. Research shows we can't necessarily see our own facial expressions and body language objectively, so they'll help you pick the best shot -- one where you look good, and your face is communicating the message you want it to. 18) Touch it up using photo editing apps. Have your best photo ready? It's time to touch it up using a great photo editing app. If you have Photoshop, click here for our ultimate Photoshop tutorial for beginners. If you're working with just a mobile device, then try the apps on this list of the best photo and video editing apps for mobile devices. You can also follow along with some of the tips in this step-by-step guide to editing your photos for Instagram, many of which apply to editing photos in general. Wolf's favorite photo editing app is VSCO Cam (free on iOS and Android). Its main claim to fame is its filters: Some of its filters have more of a softer, authentic look that resembles real film. The only downside to the app is that its user interface can be a little tough to get used to at the very beginning. Personally, my favorite two photo editing apps are Afterlight ($0.99 on iOS and Android) and Snapseed (free on iOS and Android). Afterlight isn't a super fancy photo editing app, but it has all the features you need to do a basic photo edit, from controlling the color tones and adjusting exposure and brightness, to straightening out the photo. It also has a few unique features, like its Highlight Tool that brings the blue hues up. I find this gives photos a cleaner, fresher look. Snapseed is also great for basic image enhancements like tuning, cropping, and straightening -- although its main selling point is its "selective" editing tool. This lets you pinpoint an area in a photo and adjust the brightness, contrast, and saturation of that single point in the photo. So if you have, say, a red spot on your face you want to tone down, you can tone down the saturation of that spot (and just that spot). 19) Crop for every purpose. 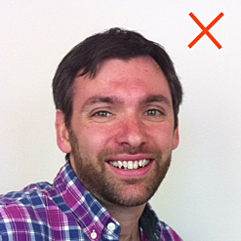 When you crop your headshot, don't just crop a square around your face. Instead, experiment with different ways to crop that'll make the composition of the photo pleasing to the eye. 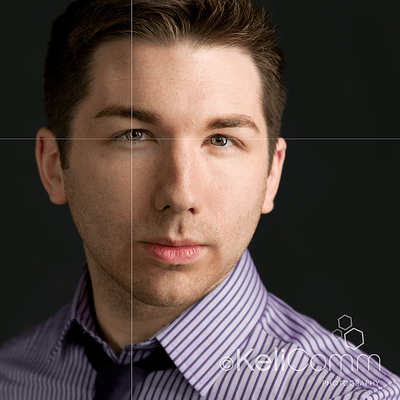 One of the best ways to compose your headshot is to follow the "rule of thirds" -- which means breaking your image down into thirds, both horizontally and vertically, so you have nine parts in total. The theory is that if you place points of interest in these intersections or along the lines, your photo will be more balanced and will enable your viewer to interact with the image more naturally. Surprise, surprise: Your eyes are the most important elements of your headshot, so they should be your "point of interest." Check out how Shure cropped his headshot in the examples below. The first photo shows how an amateur would crop their square photo, with their head directly in the middle of the frame. The second photo uses the rule of thirds for a much more pleasing visual composition. Once you've cropped your touched-up headshot, it's time to update your social media profiles, your email signature, your blog author bios, and anywhere else on the web where you want your newly updated professional headshot to appear. We hope these tips have been helpful! 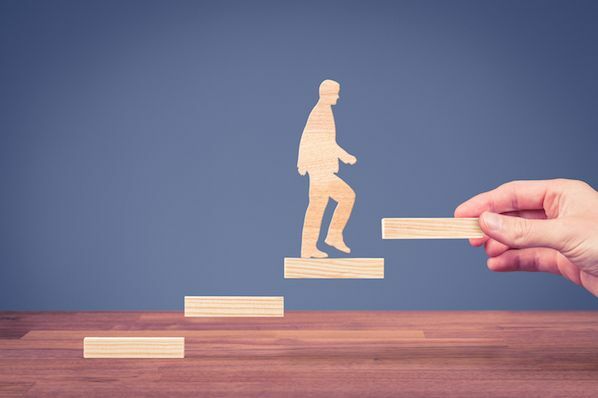 Now, learn about the key signs it's time to quit your job and look for another opportunity.